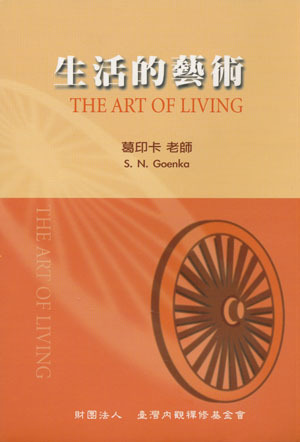 This is a Chinese translation of a classic introduction to Vipassana meditation: a full-length study of the teaching of S. N. Goenka, prepared under his guidance and with his approval. Useful for meditators and non-meditators alike. Excellent book for family & friends you care about! Best book you could give to your family and friends if you wish them to be happy!